Most pets are now considered equal partners of their owner’s household. More and more, this equality is placing a burden of care on owners of long-term and terminally ill pets previously seen only in caregivers to human family members. Consequently, vets are having to help pet owners avoid ‘caregiver burnout’ by focusing by guiding them toward agreed and achievable ‘Goals of Care’. Advances in veterinary diagnostics and treatment, coupled with changes in owners’ relationships with their pets, means that much more is possible and expected of veterinary medicine than ever before. The result is that almost all of pet owners will, at some time, find themselves caring for a seriously ill companion animal in a palliative care situation. Veterinary professionals are encountering pet owners who choose to undertake long-term care where, in the past, euthanasia of a loved animal would have been considered the only humane option. Vets are also called upon to help relieve feelings of guilt and failure experienced by owners who, for sound reasons, have to resort to releasing their pet from further treatment or surgery. Caregiver burnout is already an acknowledged, stress-related issue in human medicine and no less real in caregivers providing long-term attention to loved and terminally ill pets. Such is the level of physical, emotional, and mental pressure on end-of-life caregivers that some suffer ‘caregiver burnout’ resulting in feelings of guilt, anxiety, and even depression. Some experts in human Goals of Care conversation recommend that professionals follow the REMAP 5-step talking to help those lead caregivers toward the most appropriate system of care. In this model, the conversation between professional and caregiver opens by a ‘re-framing’ of the clinical position within the caregiver’s understanding of the patient’s illness and prognosis. Professionals must expect, listen, and attend to any ‘emotional response’ to the information they share with the caregiver. Only when expectations, wishes, and choices have been clarified with both caregiver and patient – in a human illness situation – should the professional begin to ‘map out choices’ regarding future treatment. Professional ‘alignment’ with the caregiver’s and patient’s concerns and values ensures the final stage of ‘planning treatment’ will help accomplish the agreed goals of care. 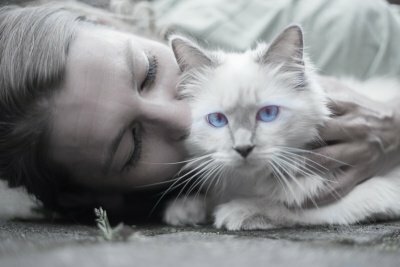 Adopting a similar process, in relation to serious and terminally ill companion animals may significantly reduce the likelihood of caregiver burn out in pet owners.